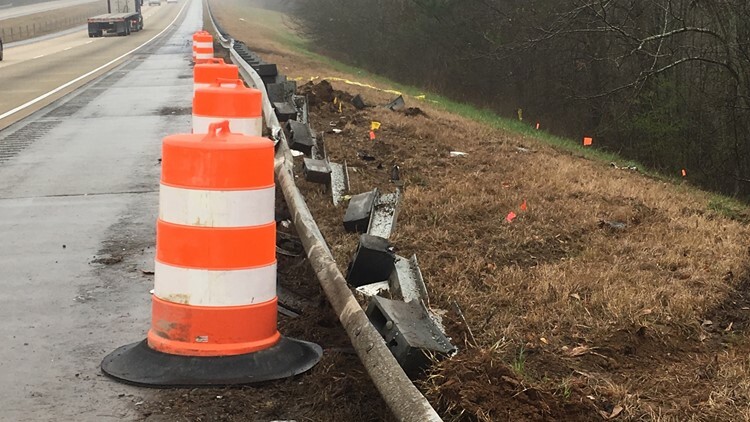 COCHRAN, Ga. — Two people from Macon have been identified as the people killed in an accident on I-16E in Bleckley County Tuesday night. According to Cpl. Chad Harrison with Georgia State Patrol, the crash happened around 5:30 p.m. when an ambulance pulled over on the side of the road after running out of gas. Two people inside a Toyota Prius – apparently friends of the ambulance driver -- pulled over to help. When they tried to merge back onto the interstate, a semi-truck was unable to stop in time and hit their car, causing it to burst into flames. Bibb Coroner Leon Jones identified the two people inside the Prius on behalf of the Bleckley County Coroner’s Office as 22-year-old Shemar Brooks and 21-year-old Zhaneisha Burnette, both of Macon. The driver of the ambulance was taken to the hospital; their name and condition is unknown. Georgia State Patrol is still investigating the accident.